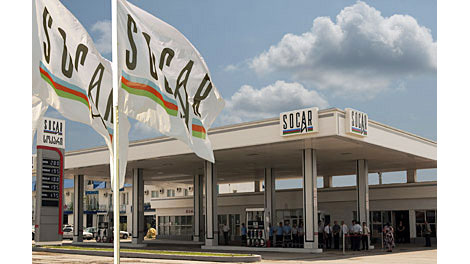 The Azerbaijani state oil company, Socar, is to partner up with Turkish businessman Remzi Gür on local market commercial operations by establishing three companies, the head of the company’s Turkey unit informed. “Our cooperation with Remzi Gür will bring synergy in our downstream – oil product sales, marketing and distribution – and local operations,” Socar Turkey President Kenan Yavuz told a news agency. Gür, a businessman known as a close friend and financial sponsor of Turkish Prime Minister Recep Tayyip Erdoğan, and Socar have founded three companies: Socar Turkey’s natural gas distribution, fuel and oil products distribution and electricity production. Investment companies will come in a second stage, following the completion of refinery investment as part of the company’s market integration plans. Socar has announced that it would sign a preliminary deal with a group of lenders within a month to help finance the $4 billion Turkish refinery. In December Socar selected a consortium of Tecnicas Reunidas, Saipem, GS Engineering & Construction and Itochu to build the refinery in Aliağa on the Aegean coast in western Turkey. Construction is expected to be completed by 2016. “One of our aims is to realize the vertical integration that begins with raw material and finishes with final consumption. While any opportunity will be considered, it’s too early to talk about concrete projects,” Yavuz said. Gür is the owner of the giant clothing chain Ramsey, which is also the sponsor of the British football team Liverpool.